We’ve been informed that the Nova Scotia Surfing Association is going to present a cup they also call “the Nutts Cup”, at their next annual surfing contest on April 10 known as the “Nor’Easter”. The cup will be awarded to the surfer having the most fun, and is representative of Andrew’s fun-loving nature and love of all sports, especially including surfing. Just more proof of the effect Andrew had on people. 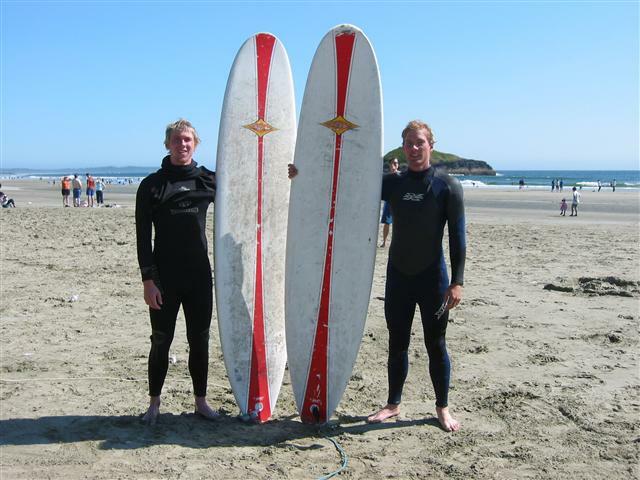 See the picture below of Andrew (on the left) and his brother Johnny on a memorable surf trip to Tofino, BC.